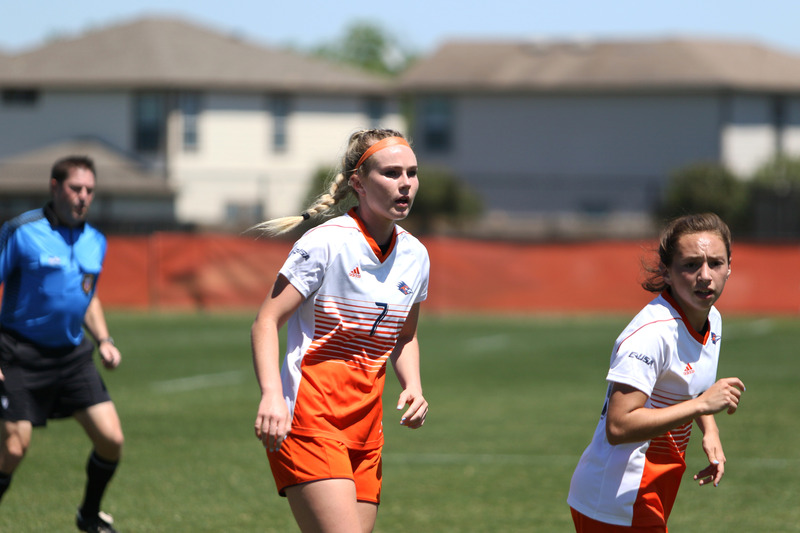 The UTSA ‘Runners and the Arizona State University (ASU) Sun Devils are set to meet on Sept. 1 for their first game of the season. It is only the second time the teams have matched up; their first meeting happened in 2016 where the Sun Devils took down the ‘Runners with a fourth quarter comeback. A lot has changed over the past two offseasons. Let’s go over the major changes for both teams. 1. The quarterback situation is a little dicey right now and a new offensive coordinator has stepped in. There is no clear cut starter to take the reins from recently departed quarterback Dalton Sturm. Currently, the top two candidates seems to be Bryce Rivers, a sophomore who backed up Sturm and went 5-8 passing last season, and Cordale Grundy, a dual-threat junior college transfer. On top of this, Frank Scelfo was replaced as offensive coordinator by Al Borges. Borges has been around for quite some time and will work to make the offensive as dynamic as possible, probably leaning heavily on a trio of running backs: Brett Winnegan, B.J. Daniels and Jalen Rhodes. 2. Even with the departure of star pass rusher Marcus Davenport, the defense is still poised to be great. Last year, the Roadrunners’ defense was ranked 19th overall due in large part to a strong defensive line anchored by Marcus Davenport, the most recent first round pick by the New Orleans Saints. While his absence is a blow to the defense, the front seven are likely to remain strong with the return of defensive tackles Kevin Strong Jr, King Newton and junior defensive end Eric Banks. Middle linebacker Josiah Tauaefa is returning and with him safeties C.J. Levine and Carl Austin III, all three are very good at stopping the run. 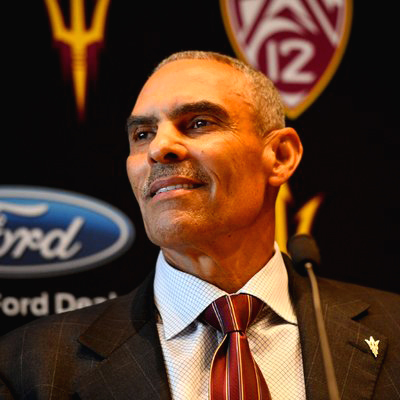 ASU HC Herm Edwards during press conference. 1. This is Herm Edwards’ first time coaching in a decade. Herm is somewhat of an oddity; known for his motivational speeches and famous soundbites that have become known as “Hermisms,” ASU has had quite the interesting offseason since he has arrived. His introductory press conference was interesting to say the least, he critiqued society by saying that the problem with it is that “We don’t huddle anymore.” Anyway, Edwards has not held a coaching position since 2008, when he was the head coach of the Kansas City Chiefs. After spending time with ESPN as an analyst, he has returned to football with hopes to lead ASU to the promised land. Edwards had already landed a top 20 recruiting class in his first year, but only time will tell if he can make the most out of it. 2. The offense is returning with key players. Senior quarterback Manny Wilkins is returning after having amassed almost 3,300 yards in the air and 27 total touchdowns (20 passing, 7 rushing). Wide receivers N’Keal Harry (1,142 yards receiving) and Kyle Williams (763 yards receiving) are also returning. It will be interesting to see what Herm Edwards does with the offense, since historically he has leaned heavily on the run. If anyone is looking to be the bell-cow running back in Edwards offense it will most likely be sophomore Eno Benjamin, who looked good in limited snaps. This opening game between UTSA and ASU is sure to be a good one. 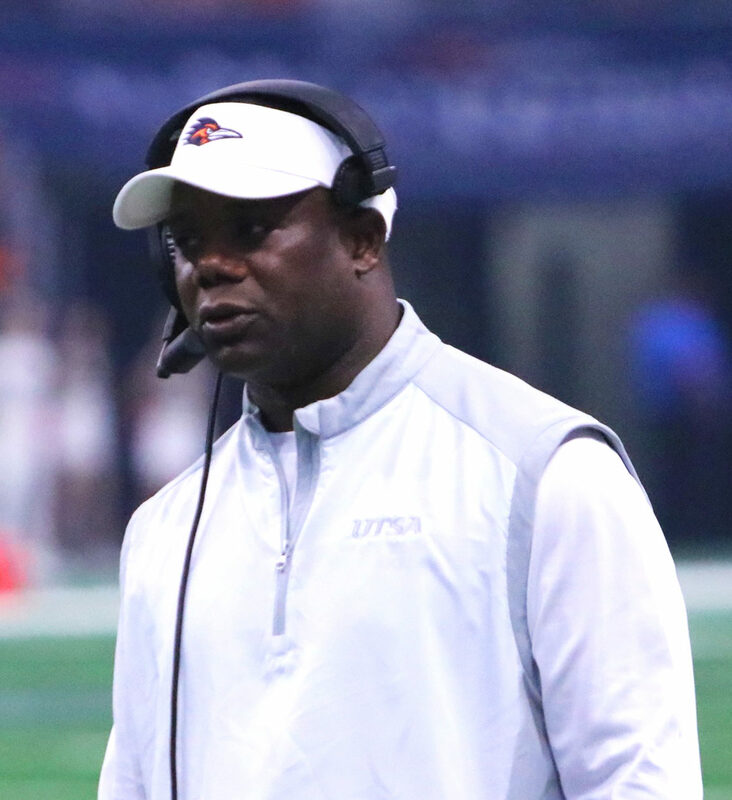 While UTSA’s offense is still questionable, the defense looks dominant again. ASU has an electric passing offense, but the implementation of a new defensive scheme is sure to encounter growing pains. I expect the game to be decided once again in the latter half with neither team giving or taking much.